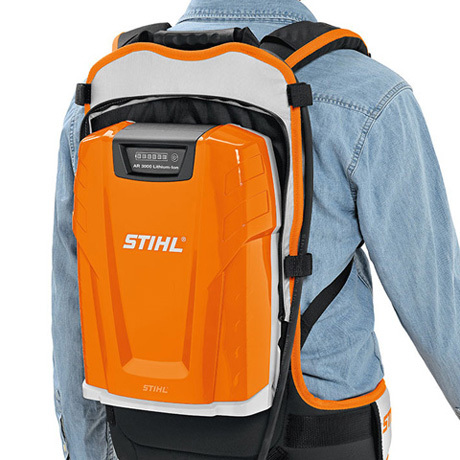 Backpack lithium-ion battery with big capacity for longer running times. 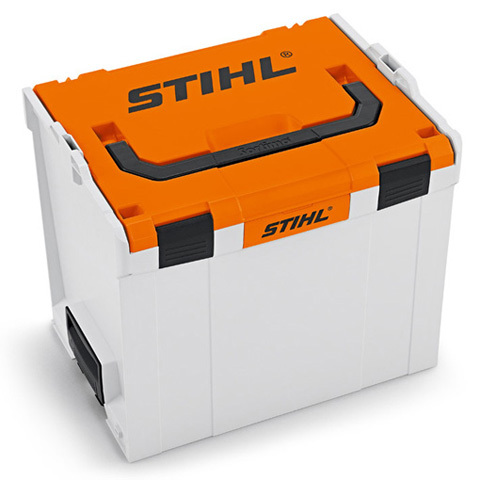 Sturdy housing with base and charge level indicator (six LEDs), comfortable and ergonomically harness with integrated carry handle and rain protection cover. 1,148 Wh battery energy, weight 6.8 kg excluding / 8,1 kg including carrying system. With rain protection. 1) Energieinhalt gemäß Zellherstellerspezifikation. Zur Erhöhung der Lebensdauer ist der in der tatsächlichen Anwendung zur Verfügung stehende Energieinhalt geringer. Keeping your AP (handheld) or AR (backpack) batteries and charger safe, secure and easy to transport is now possible thanks to the 2 new battery boxes. Intelligent design that stacks with all other L-boxx systems and accessories. 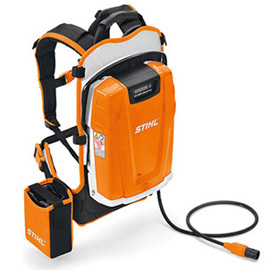 Quick charger for STIHL Lithium-ion batteries. With operating mode indicator and integral air cooling. The AL 300 quick charger takes 75 minutes for 100% charge of AP 300 battery. 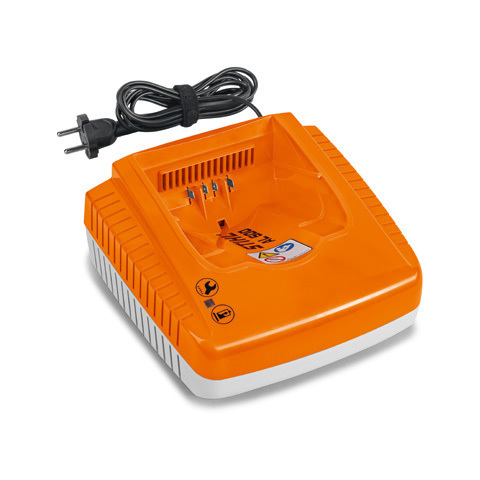 Rated voltage: 240 V.
Retrofit kit for AR 900 battery for operation of the BGA 100 with connecting cable. 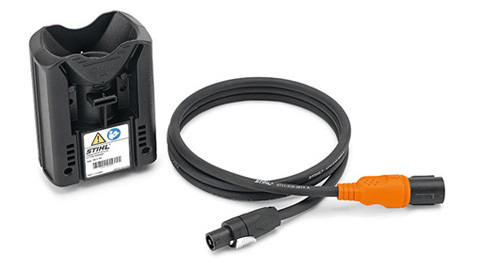 AP adapter and connecting cable for operation of the other battery powered products. With the increase in battery capacities the new AL 500 Super Charger enables extremely rapid charging to minimise down time and allow increased productivity. 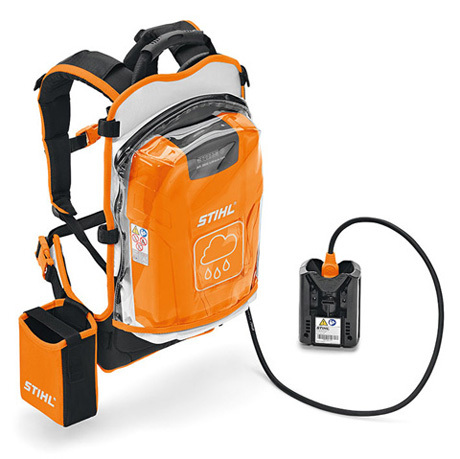 Charging the AP 300 to 100% in 35 minutes and the AR 3000 backpack battery to 100% in 160 minutes the AL 500 Super Charger is aimed at the professional landscapers using the STIHL cordless range. 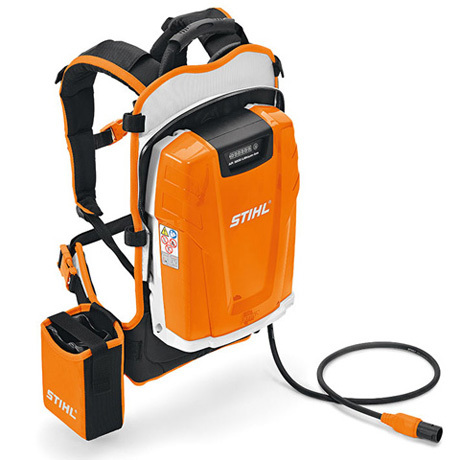 The reduced charge times make the STIHL cordless power system even more desirable and allows all day working in the professional area. Additional bag for attaching to the battery belt. 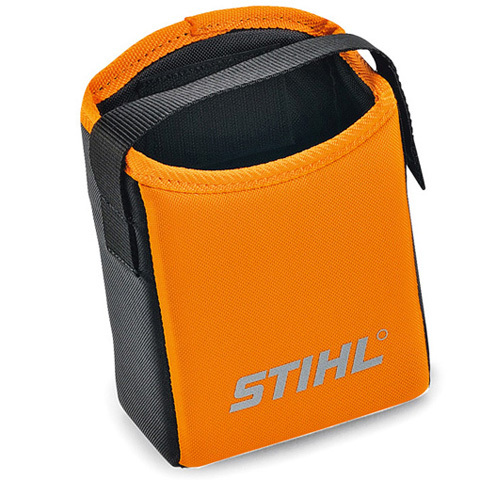 Can be used to carry more batteries or other accessories such as sunglasses, gloves and resin remover spray.